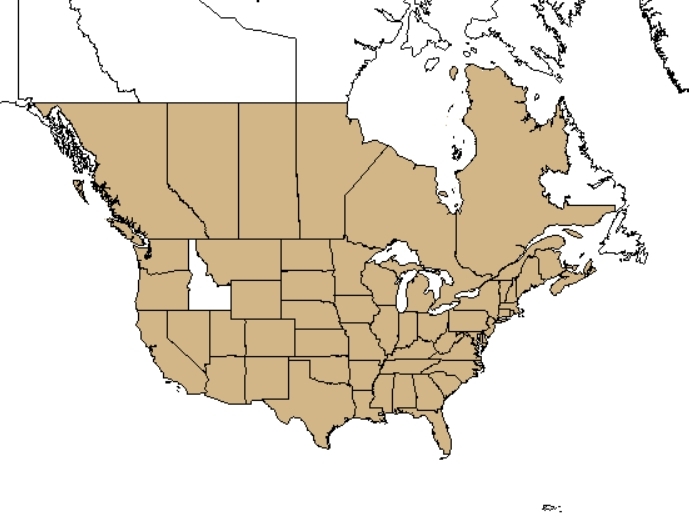 Oak (Quercus) species are a highly abundant group of 500 to 600 species of slow-growing, deciduous, hardwood trees; 60 of which are native to North America. Oaks are classified into two groups--red and white oaks. Both groups produce acorns, which are nuts with a tough leathery shell that fall from trees in the autumn season. Red oaks have pointed leaves with bristle-tipped lobes and white oaks have rounded lobed or large regular teethed leaves. Leaves are often clustered at the ends of twigs. 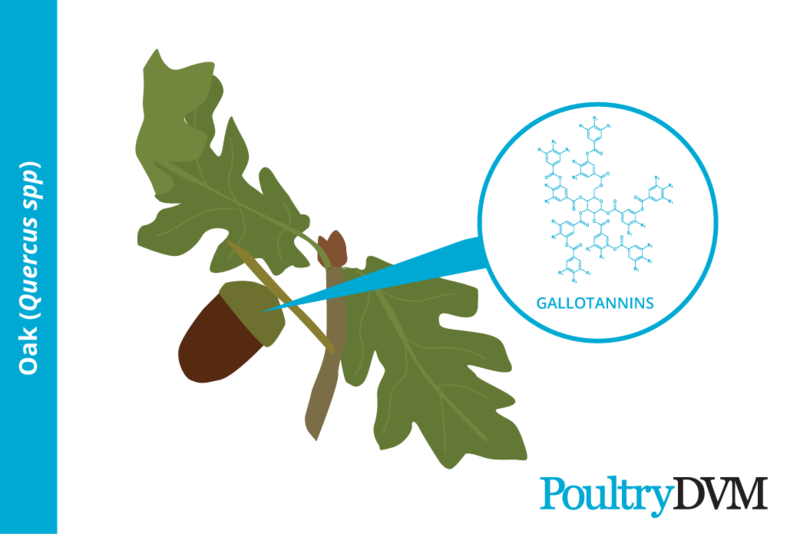 The buds, twigs, leaves, and acorns from oak trees can all be potentially harmful to poultry if eaten. Most poisoning cases in livestock have involved the consumption of young, immature leaves in the spring and/or freshly fallen acorns in the autumn, as these contain the highest concentrations of condensed and hydrolyzable tannins. Members of the black and red oak species tend to have higher concentrations of hydrolyzable tannins than other oak species. Tannins have protein-binding properties, and are known to inhibit several digestive enzymes, including proteases, pectinases, amylases, cellulases, and lipases. If large quantities of tannin-containing substances are eaten by poultry, it can be detrimental to their health. CHEMICAL CONTROL: Oak can be controlled with tebuthiuron at 0.25- 05 kg ai/Ac applied to the soil in winter.